Since arriving in Korea, I have learned about much more than baduk, as go is known here. Here, for example, it’s customary to bow to your elders, but back home in America if you bowed down to someone they would give you a funny look. Though I’ve only been here since the end of May, it didn’t take long to feel a bit homesick. 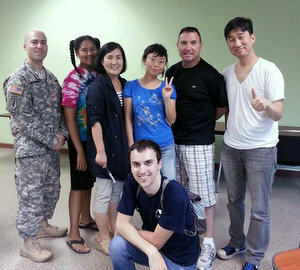 So when Cho Hyeyeon 9P asked if I wanted to help her teach baduk to soldiers on the US military base, I agreed immediately. Arriving on base it was if I’d somehow been instantly transported back to America. The roads, sidewalks, and even the houses are all in the American style and the stores and soda machines take American dollars and have American snacks. It turns out that the base is actually owned by the United States, so technically, I was literally back in United States territory. After a trip to Burger King, we went to the building where we would teach the Baduk class. The students — who are either soldiers, their wives or kids — arrived shortly after we did; they were all complete beginners of course, and it was nice to teach them and play without the pressure of having to thoroughly think through each and every one of my moves. They all took it in very quickly and played very intriguing moves. My new friend Chris, who now enthusiastically plays the game on KGS when he can, quickly learned how to play the opening on the full board and how to make and take two eyes. I was very impressed with how quickly the students learned things and I had a lot of fun teaching them. I also got to remember how it felt to be a beginner and just to enjoy playing. Lately, between my teaching work for BadukTV and my own studies, it seems as though I have become so serious that I must make every move as effective as possible. So it is a nice change of pace to be able to play beginners and have fun with the game rather than having the pressure to make every move worthwhile. It was a good reminder that baduk is as difficult as we make it. As a special free bonus for all E-Journal readers, Michael Redmond’s recent Meijin Tournament game commentary appears here. Full AGA members get exciting commentaries like this every week. The game commentaries alone are worth the price of AGA membership. For youth memberships the deal is even better, just $10 a year! To sign up for the members edition, register with the AGA here. Suzuki Yoshimichi is a fighting player who likes to attack or to build thickness. In this game he started with star points and high kakaris. This game was played on July 3rd, and was the first round of the Meijin tournament, section A. In the 2nd round I will play the winner of Cho Chikun vs. O Meien. Eric Lui and Zhaonian Chen play each other tonight in the semifinals of the Samsung Cup World Preliminaries. The winner plays the winner of Xiang Zhang vs Jan Hora match for the spot in the main tournament. Lui, Chen and Seung Hyun (Kevin) Hong are participating in the World Preliminaries of the Samsung Cup this week in Korea. The 2014 Samsung Cup World Baduk Masters expanded the World Division to provide more opportunities to international amateur players. A dozen players were invited: three from North America, one from South America, four from Europe, up to three from Asia (Korea, China, Japan, Taiwan excluded) and up to two from Africa. The winner of the World Division will be invited to participate in the final 32 of the Samsung Cup, with total prize money of $800,000 USD. The final round in the 2014 Pandanet-AGA City League is to be played at the US Go Congress in New York City. The round will be played this Saturday August 9th at 3p. Games will be played in Penn Top, the same room that the Congress top boards will be played. Watch for the LIVE simulcast in the AGA City League room on Pandanet-IGS. The American Go E-Journal will be broadcasting top-board US Go Congress games live on KGS beginning this Sunday, August 10. This week we’re profiling some of the top players who will be competing at the Congress. Michael Chen 7D (top right) is a 25-year-old financial analyst from Princeton, NJ who’s been playing go since he was 7 years old. Titles include the 2006 North America Ing Cup, 2009 Canadian Open, and he took second place in both the 2009 and 2011 US Opens. 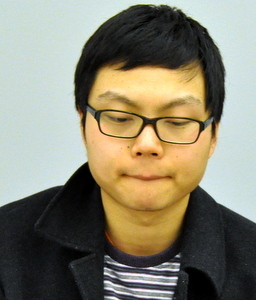 His favorite thing about go is “winning” and hobbies include soccer and Starcraft. Jie Liang 7D (top left) is a 42-year-old software engineer from Nashua, NH who’s been playing go for 29 years. His favorite thing about go is that it’s a “brain game” and he loves its competiveness. Married, with one child, Liang’s hobbies include photography and deep sea fishing. 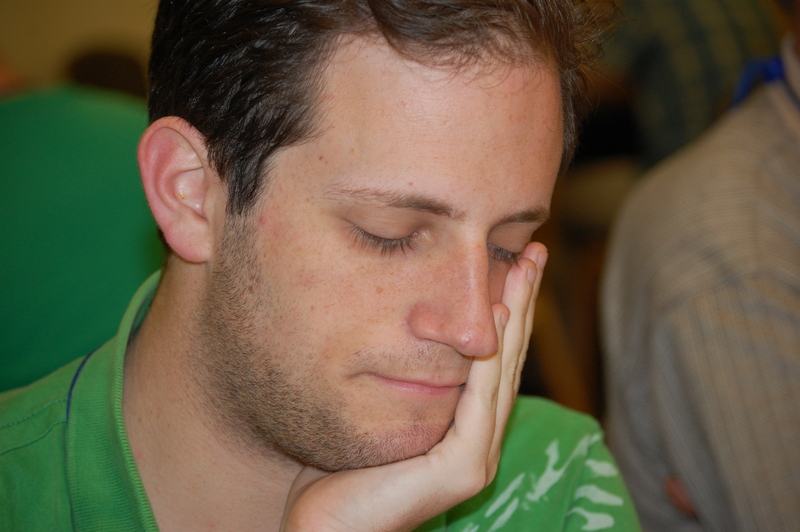 Joshua Lee 5D (bottom right) is a 27-year-old IT consultant from Arlington, VA who’s been playing just 7 years. His favorite thing about go is the game’s “infinite strategy” and that “there are world-class players with entirely different styles from one another.” Lee enjoys scuba diving, Texas Holdem, tennis and playing the guitar. Jeremy Chiu 6D (bottom left) is a 12-year-old student who’s been playing since he was 5. “I like the complexity of the game and how it allows you to play the game however you want,” he says. 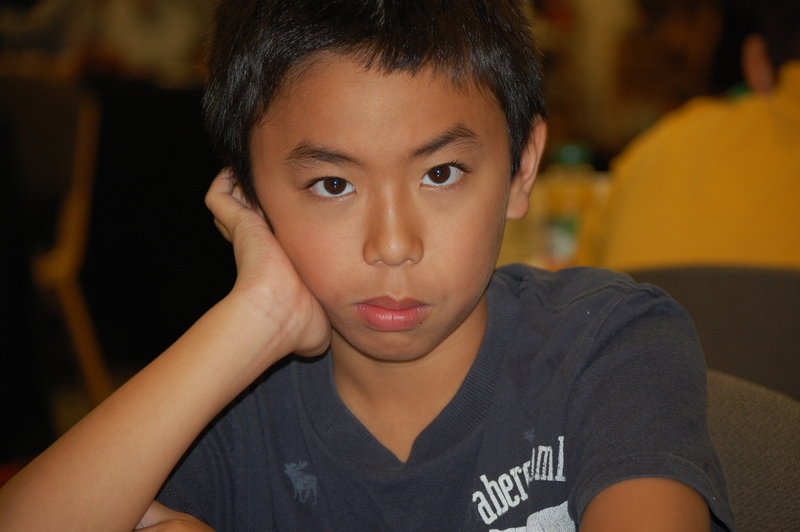 He won the United States Youth Go Championship junior division in 2013 and was the Under-12 US representative to the World Youth Go Championship in 2013. Hailing from San Jose, CA, Chiu’s hobbies include playing music and video games. Adding the Congress Schedule to Your Google Calendar: “I put the Congress schedule in my calendar with about two clicks,” writes Phil Straus. “Very cool.” To add the Congress calendar to your Google calendar, click on “Schedule”, scroll down to the bottom of the page and click on the “+Google Calendar” icon on the bottom right. How to Update Your Email Address: “How do I change my email address for the Journal, or, do you do that?” asks Lee Freedman. At the very bottom of the E-Journal, click on “Update your profile” and you can update your email address, as well as the desired edition of the E-Journal (daily or weekly) and your preferred format (HTML or plain text). Be careful to click on “Update Profile” after you make your changes, and not “Unsubscribe” (unless that’s your wish). If you accidentally unsubscribe, email us at journal@usgo.org so we can get you re-signed up.